Just like last year, the opening round started with an upset. Top seed James (yes, there’s a post called James for a Girl) was taken down by the 16th place post, Anouk. Of course, it also wasn’t unexpected. I hesitated about whether really fit in the girls’ category. And this is one of those subjects that can cause controversy galore. Anouk scored a solid 66.45% of the vote, compared to James for a Girl, which garnered 33.55% – respectable, but still a sign that the most-read post does not equal the name most beloved. Sleek, European Sabine slipped past Phryne, an ancient name revived by Australian television, 85% to 15%. Sweet, vintage Maisie defeated night sky Vesper, 68% to 32%. 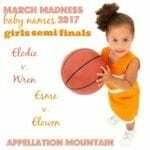 Wren soared past mini name Noa, 82% to 18%. In the closest competition of the week, Marigold edged past Lena, 54% to 46%. Perpetual Appellation Mountain favorite Elowen bested vintage Faye, 61% to 39%. French Elodie won out over Irish Saoirse, 62% to 38%. 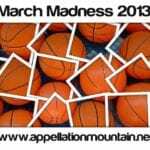 The contests get harder – and the results closer – as the month goes on. But that’s the point, right? 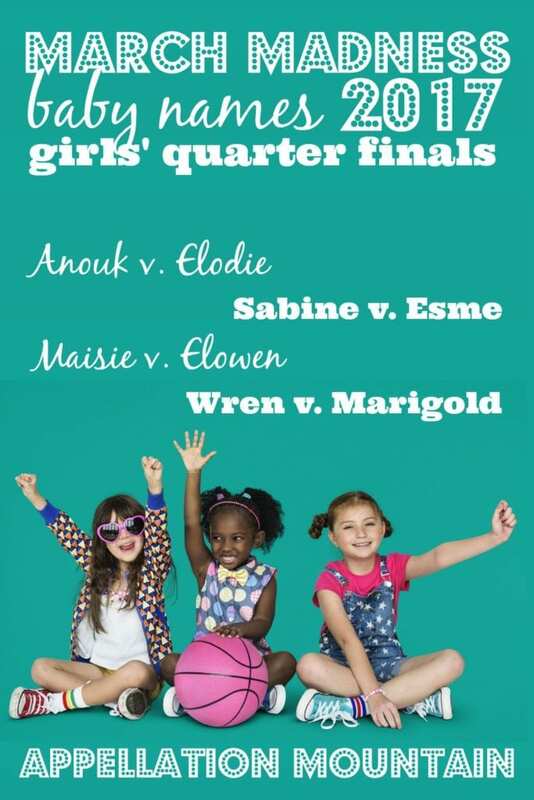 With names like Sylvie and Genevieve winning the tournament in years past, you just know that any name that wins has got to be a true stand-out. That means we have some voting to do! 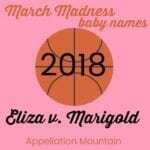 Favorite Names for Girls: March Madness 2014 FINAL! 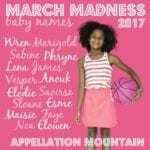 Great Madness names, as always! Elodie’s my favourite.